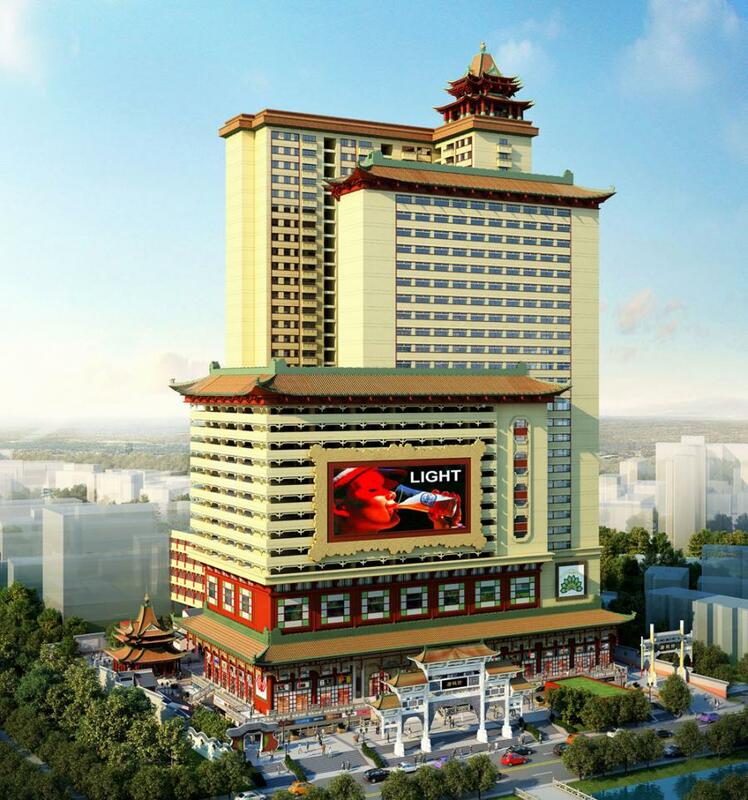 Pancoran Chinatown Point is a mixed-use urban development with integrated plan which stand on an area of ​​one hectare in the west of Jakarta . 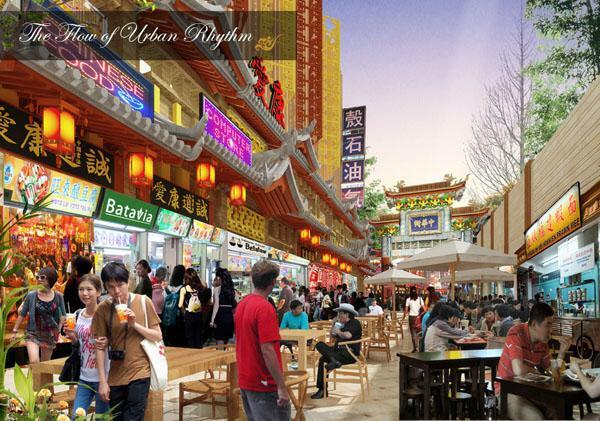 Pancoran chinatown Point is an integrated masterplan between residential, commercial, educational area. 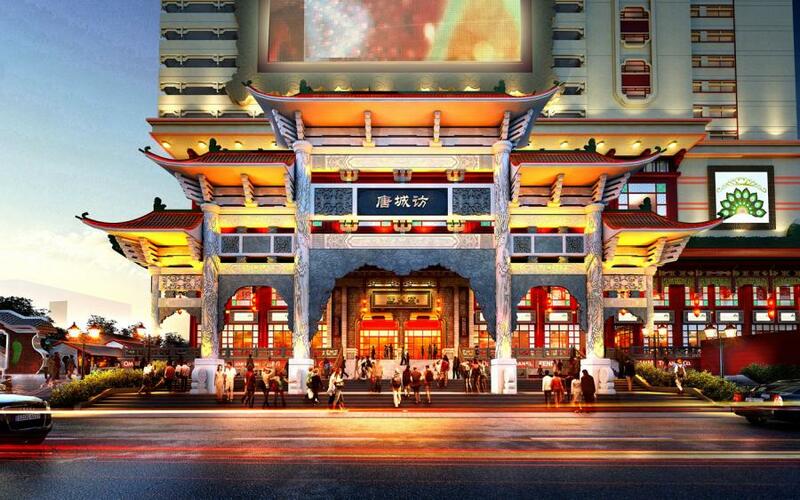 Pancoran Chinatown Point is a new destination and historic strategic place in the city center, which combines classic-elegant residential building, with commercial areas and thematic citywalk and mall. It is located in the central and renowned trading area for wholesale and retail for variety of local and imported goods including chinese goods, chinese medicine, herbs and electronic goods. This will have a vast opportunity for the business and traders in that particular area. The government also plan for the restoration of the Old City which will certainly have a positive impact on the precinct and a new magnet for tourism and traders from within and outside the country. 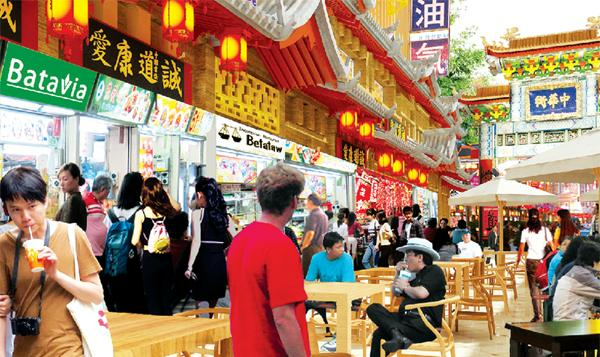 With all these, the investment opportunity in Pancoran Chinatown Point is very potential and promising. In the mid 16th century , the area around the port of Sunda Kelapa named Djajakarta was part of the Sultan of Demak kingdom . At the end of the 16th century when the Dutch begun to explore the world and find its way to the east to find spices, Djajakarta then fell into the hands of the Netherlands ( 1619 ) and used as the basis for a trading company owned by the Dutch VOC ( Vereenigde Oostindische Compagnie ). Djajakarta successfully conquered by the Netherlands under the leadership of Jan Pieterscoon Coen, in which the city was destroyed and rebuilt a new city called Batavia . In the 1800s the VOC went bankrupt and was taken over by the Dutch government. At this time Batavia was already overcrowded therefore the Dutch started to build and expand Batavia to the south , and because of its beauty and technological advancement of Batavia at the time, the city became famous and earned the nickname " Queen of the East ". 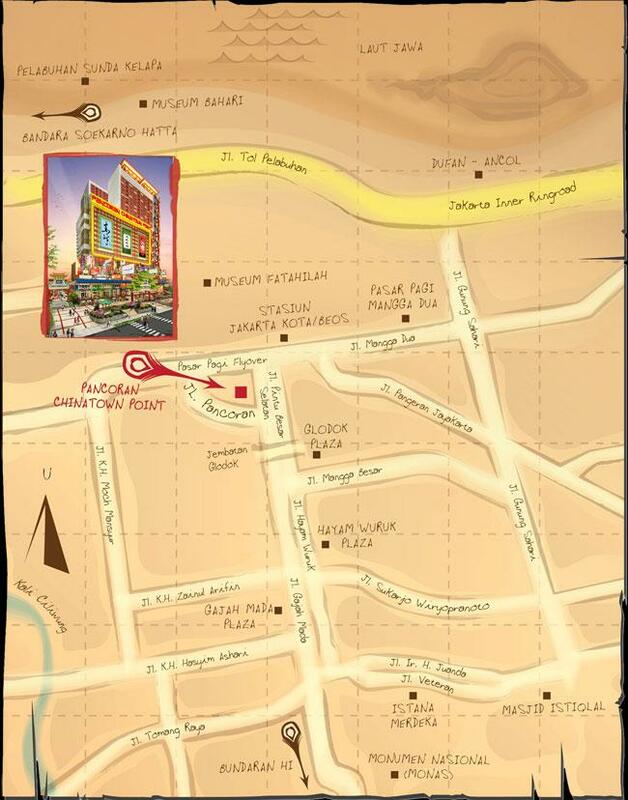 This area was known as a '' Pantjoran '' because there was a reservoir used to store water from Ciliwung river. The reservoir was more than three meters high and have several bamboo showers and the water was then routed using clay pipe to City Hall ( Stadhuis ), which is now History Museum of Jakarta. The water flow was then passed down to the Sunda Kelapa harbor for ships that will sail to the Netherlands and the Moluccas in search of spices . In 1942 Japan conquered the Netherlands and Batavia taken over Japan later renamed Jakarta. When finally Indonesia's independence in 1945, chinatown Jewel Glodok has become the lifeblood of the economy for many generations.